Fell Running Briefs: Watch out, watch out, there are Pendle witches about! 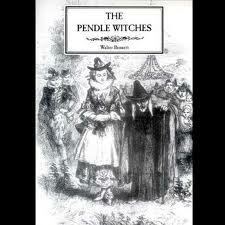 Watch out, watch out, there are Pendle witches about! It's the Full Tour of Pendle on Saturday and the advice from 'the locals', is to bring plenty of spare pins. 'About twenty minutes before the race, Alizon Device encountered John Law, a runner from Halifax Harriers and asked him for some pins. 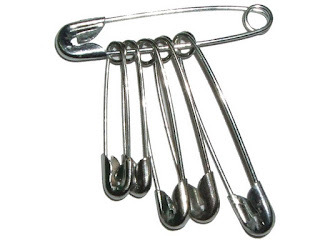 Safety pins are frequently needed for magical purposes, such as in healing – particularly for treating warts – divination, for love magic, and for attaching numbers to vests, which may have been why Alizon was so keen to get hold of them and why Law was so reluctant to give them to her. Whether she meant to borrow them, as she claimed, and Law refused to go into his bumbag for such a small transaction, or whether she had no intention of giving them back after the race as John Law's son Abraham claimed, is unclear. Approaching Ogden Clough, Alizon saw Law stumble and fall, he managed to regain his feet and reach a nearby inn. It's 16.8 miles and 4830 feet. There are 11 checkpoints to visit all over the great brick of a hill that is Pendle. It always amazes the runners, when they get their big band of bread tags (one for each checkpoint) at the beginning of the race, that they are ever going to get shot of them all. But they will.